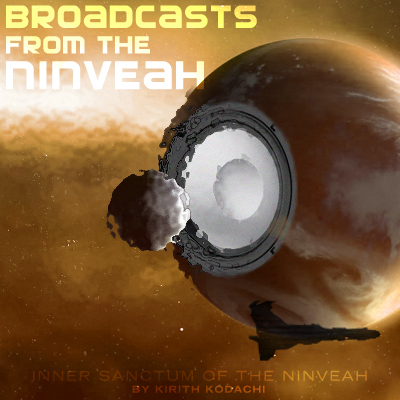 Inner Sanctum of the Ninveah: A Challenger Appears! Yesterday's post was expected to ruffle some feathers and I had a comment from someone I respect very much that I wanted to pull out into its own mini-post. Your hand waving dismissal seems at least as shallow as their acceptance of the sov grind theory. Yes, a lot of wars have gone by. The last year alone has seen several wars of conquest. And how many of them were a short, sharp conflict, followed by a cascade fail and an easy sov clean up? That certainly sounds like what happened with White Noise, Raiden, Nulli Secunda, and IRC. Meanwhile, the war with Northern Coalition, which did not have all that many systems or towers to deal with, dragged on for quite a while, to the point that people were pointing and shouting "Goon Fail!" because the CFC wasn't winning fast enough. Now, count all the systems and towers that represent the CFC or the HBC, assume neither will be a quick cascade fail, and then go back to your list of wars and tell me how many of them represented those sorts of numbers and that kind of commitment. Saying structure grinds were not a factor seems as silly as saying that it was the only factor. There have been many knock down and drag out wars since Dominion was released. I listed just some recent wars off the top of my head because I'm not aware of an archive of history of sov wars to reference (but if anyone knows of one, please point me to it!). But most wars in Dominion are marked by an initial pitched battle period followed by one side capitulating when they feel the writing is on the wall. The war between the old Northern Coalition and the Droneland Russians went back in forth in Geminate for months before the NC finally broke (I was there!). Still, your comment seems to imply that "man, we looked bad!" is the thing you want to avoid. I assume that is not what you meant as you go on to talk of commitment. This seems to stem from the thought that total war equals taking every system by hand. I don't buy that. For one thing, the "total war" directly implies "must grind all the structures" is a fallacy. Typically the grinding of the structures happens after a war if you want to move in, otherwise you get the new tenants to do it. War between the HBC and CFC would probably be a war for ... I dunno, something, maybe e-honour or plain old "gud fites"... but not, most likely, territorial gain. So to say that the numbers of structure hitpoints was crunched and factored into the decision to go to war or not is a smokescreen, one that was developed after the decision was made and has been accepted as fact by a large number of people, especially in the CFC it seems. Of course, like any good ruse it works so well because it appeals to the individuals' opinions already. Leadership - "Don't like structure grinds?" Leadership - "Well, that's why we avoided this war." Masses - "Good, thank you for looking out for us!" Now I'm exaggerating to make a point, but I stand by that point: I don't believe structure grinds were a factor for the HBC/CFC leadership clique in deciding whether or not to go to war. I would counter that a war without conquest really isn't a war at all. 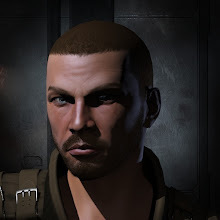 Please feel free to respond with a list of all of the null sec wars that involved no sov grinding to support the idea that the HBC and the CFC could go to war and yet not grind sov. My experience, which is admittedly limited to the last year, seems to indicate that it is fights over sov, stations, and such which drive these conflicts. That is how you bring an enemy to the battlefield, by going after something he values, something he feels he needs to defend. Timers dictate the pace. Without that it is just gate camps and hot drops and targets of opportunity. That can be fun, but that really isn't a war. Without a timer looming, the enemy can just not show up as nothing is at risk. I agree that attacking infrastructure is what drives a war, but saying one needs to clear out every infrastructure component to win that war is misleading. Which is what the propaganda implied. Hence my post. That is what you inferred from the propaganda. But you took the absolute opposite tack from the "sov grind was the only reason crowd" by claiming that the implications of sov and structure grinding were not a factor at all. So says your last sentence in this post. My point was that it was absolutely a factor. It has to be a factor if you are considering a war. It may not be the most important factor, but it had better play into such a decision to some degree. The war against Northern Coalition is the best example to my mind. It was against a smaller enemy in a pretty limited area with a relatively small number of system and structures to deal with. Yet it took months to break their will to resist. And they really didn't retaliate in CFC territory very much. An HBC vs. CFC war would be a huge commitment to that sort of thing and both sides would drive hard against the infrastructure of the other. The expense, effort, and likelihood that it would destroy one of the two blocs... and no guarantees on which side would go down... were certainly higher on the list, but the prospect of a long round of trench warfare over sov had to factor in, unless the CFC leadership has suddenly been lobotomized. My disagreement is more a matter of degrees and a dislike of absolutes. All due respect Wilhelm, I don't consider the most recent battle for Delve between Nulli and HBC to have followed your pattern at all. Nulli battled for their space for some weeks; the conflict ended in a strategic retreat, not what I would consider a failscade at all (they live not far from me now and look pretty alive to me). Breaking the enemy's will to resist does not have to involve mass sov-grinding. Yes, certain systems and certain structures need to be threatened or attacked in order to bring the enemy to battle, but not all of them do. Not even enough to make the prospect of structure bashing even factor in to it. Put another way, if your pilots don't want to pay their dues with structure bashing (I've done my fair share and don't find it the onerous task many others do), then why do you have them in your alliance? If sov-holding alliances don't want to do the sov-work, go join FW. Is sov-warfare perfect? Hell, no. Is it a good enough case to effectively sit and ship spin? Hell, no. There's good and bad points being presented here but I have to say HBC and CFC leadership's reason for not going to war just smells like my dogs' farts. One of the things I accepted as a part of life in null was the structure grinds. It's been that way even pre-Dominion. 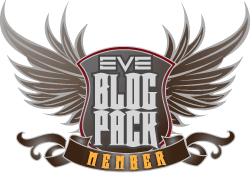 Perhaps I'm a little more accepting of it than some given I started out my Eve career as a miner (but then few can claim otherwise). However, you shouldn't move to null if you don't expect to do it at some point. No, instead we have the "big players" choosing to sit back and convince their family that it's just not worth it. That it'd be long and boring. While they sit back and watch their wallets fill. Maybe they have some bet on whose wallet can bulge the biggest? Or maybe it IS RMT as everyone claims? I don't know, don't care. What I do know is that I'm currently unsub'd (with intent to return soon) and will not be returning to null until I see life return once again to the existing carebear nations.